You are currently browsing the Bringing Jerry Zimmer Home blog archives for June, 2011. REVIVAL OF U.S.-RUSSIA JOINT COMMISSION ON POW/MIAs? Russian President Dmitry Medvedev, 45, recently appointed a female to serve as the Russian co-chair of the U.S.-Russia Joint Commission on POW/MIAs. The commission is responsible for exchanging information on the whereabouts of U.S. and Russian MIAs from former war-time locations. The National League of POW-MIA Families is cautiously optimistic about the potential revival of the U.S. – Russia Joint Commission on POW/MIAs (USRJC). Until earlier this month, the USRJC languished from a lack of leadership on the Russian side (although we had our deadbeats, too), but finally Russian President Dmitry Medvedev appointed Yekateria Priezzheva as the commission’s co-chair. Priezzheva does not appear to be a lightweight in Russian military circles. She currently heads the Education Department, Ministry of Defense in Russia and has a strong military background in security. Her focus these days appears to be grooming future Russian military officers from within student and adult ranks. Exactly what Priezzheva’s appointment will mean to the commission in the bigger picture is yet to be seen, but there’s no lack of work to be done. In addition to Priezzheva, the Russians appointed 30 additional commissioners to assist in the effort. The goal of the commission has always been for the Americans and Russians to work together on accounting for personnel from World War II, Korean War, Vietnam War and the Cold War, including Soviet military personnel unaccounted for in Afghanistan. Pouring through archives, all of which need to be redacted for security purposes and translated into English, is no easy job when you’re talking about decades of data. In the past, the Americans are said to have been more proactive in providing data on Russian losses in Afghanistanthan than they have on our losses, especially in Vietnam. Whether the appointment was timed to coincide with the League’s annual meeting in Washington, D.C., later in July, is anyone’s guess. But several heavy hitter organizations – VFW, American Legion, AMVETS, etc., recently appealed to President Medvedev requesting help, and their efforts may have caught his attention. The U.S. has had some cooperation from Russia since the commission was formed in 1992 by then President H. W. Bush and his Russian counterpart, President Boris Yeltsin; however, families are concerned that time has taken a toll on memories and priorities, so the League is eager for access to possible eye witnesses who may have critical information about our losses, along with access to Russian military archives that are said to include detailed information about MIAs shot down or captured in North Vietnam. No one knows if our MIA families will ever have closure in the form of remains, but some would find peace in knowing how/where their loved ones died. Did they end up in a North Vietnamese or Russian prison? Did they die in a hospital or when their aircraft went down? Even though my husband, Jerry, is still unaccounted-for, at least I now know where his aircraft went down. Knowing how your husband, son, brother, father or uncle spent his last moments alive means a lot to all MIA families. I commend President Medvedev for appointing Ms Priezzheva to this important role. I am eager to see Russia breathe new life into the commission and truly show that our two nations share the same values – particularly as they apply to the men and women who died while serving in our respective military services. But all the nice words will be meaningless if this commission continues to be nothing more than a ruse. 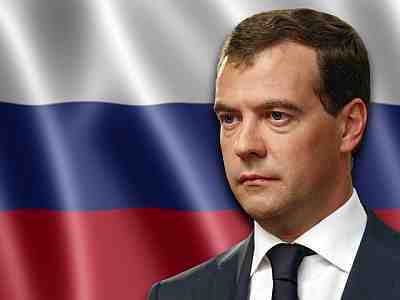 Let’s hope President Medvedev doesn’t let that happen. 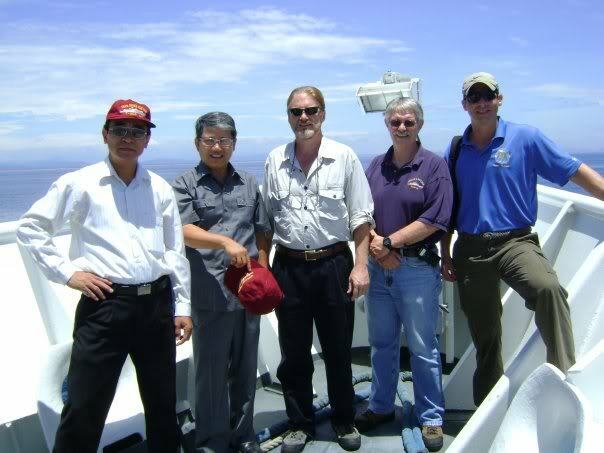 This photo was taken in June 2009, when the USNS Bruce C. Heezen became the first oceanographic ship to assist JPAC in its search for over-water losses in Vietnam. That event eventually led to a second mission (discussed in this blog) that resulted in the discovery of 15 possible crash sites. The leadership team for the 2009 mission included (L-R) SrCol Dao Xuan Kinh, Ambassador Nguyen Van Dao, JPACs Ron Ward, Capt Robert Reish, LTC Todd Emoto, USA. The Joint POW/MIA Accounting Command (JPAC) offered renewed hope to several families of MIAs lost in over-water crashes during the Vietnam War. For the second time since the war ended in the mid 1970s – the first being in 2009, JPAC and its Vietnamese counterpart embarked on a month-long investigation, May 20 to June 20, 2011, to gather information about possible aircraft wreckages off the coast of DaNang, Quang Nam, Thua Thien-Hue and Quang Tri in the South China Sea. According to crash records, there were 444 aircraft losses in the Vietnam War over water, with 247 occurring in the north and 197 in the south. Finding aircraft that went down over water during the Vietnam War may well represent the ultimate challenge for JPAC in its humanitarian recovery efforts. Once again, the Military Sealift Command (MSA) provided manpower, equipment, technology and transportation for the bilateral effort, using one of its six oceanographic ships, the USNS Bowditch, and a team of civilian survey experts who specialize in physical oceanography, hydrography, acoustics and geophysics. Using sonar, the Bowditch team completed 15 surveys in deep and shallow waters and found potential wreckages in most of them. However, it appears that there’s no way of determining if the anomalies picked up by the sonar were crashes or something else, unless the experts take the next step. “The biggest conclusion we’ve come to this year is that we need to dive,” said Ron Ward, JPACs Casualty Resolution Specialist at Detachment 2, in Hanoi, during an interview with AFP – a global news agency that covers international events . Ron has 20 years of recovery experience in Vietnam and was aboard the USNS Bruce C. Heezen for the first underwater survey mission. He says that divers and/or remotely-operated submersibles will now be needed to confirm their recent findings.